Treorci is still a real town. It sits far enough up the Rhondda Fawr and has a big enough hinterland to support a good array of shops, mostly independent, and a lively civic life. The best way of approaching it is on the road from Ogmore Vale. The other day we drove down from Bwlch y Clawdd, lost in low cloud, and curled the car towards the terraces of Cwmparc, west of the centre. The town has kept its size and shape, not rich enough to sprout new executive estates. 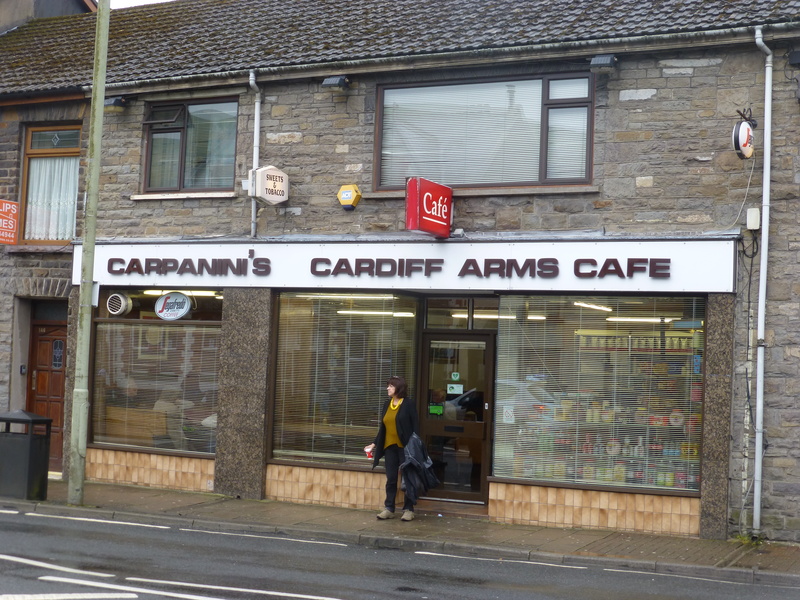 It was mid-morning and time for a stop, so we inched along Bute Street, looking to both sides, and there it was: Carpanini’s Cardiff Arms Café, one of the finest remaining Italian Valleys cafés. Inside, a buzz of conversation and the wheeze of a coffee machine. The place was almost full – we were the only non-locals – and we were lucky to find a table (with wooden benches, padded with plastic towards the top). Marco, the original owner’s grandson, was kept busy with a stream of orders for coffee and food. 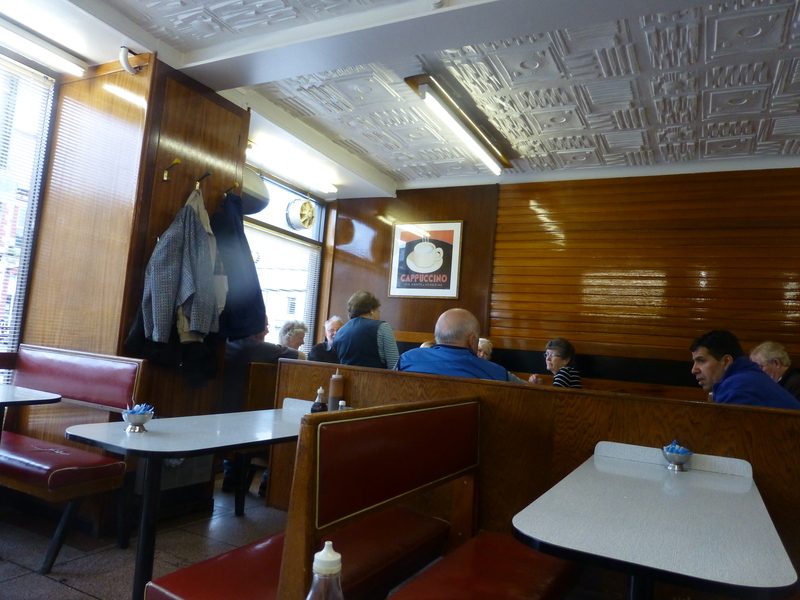 The tables and benches, floor and 1960s moulded ceiling, the fluorescent strip lights, the counters and posters (‘Cappuccino: via Dante & Venezia 8’): none of them seem to have changed in decades. Refreshed and enriched, we left Treorci and drove on, over another mountain road constructed in the late 1920s, towards Hirwaun and Penderyn. If coffee drinking is essentially a social, public activity it also has its private, domestic side. It took me a long while to appreciate either. One of my oldest friends likes to recall how, when we first met in Aberystwyth in the mid-1970s, he offered me a handmade coffee, which I rudely refused. Things are different now. I’ve even learned how to be polite. 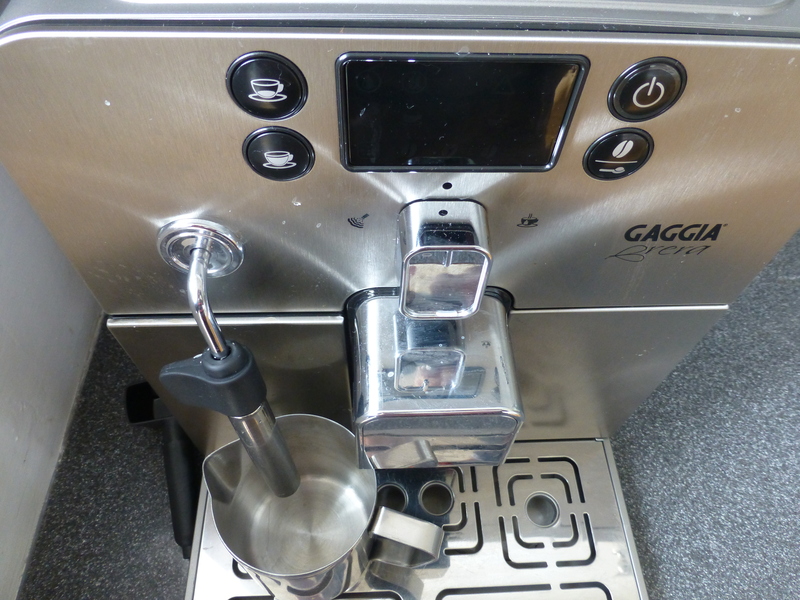 And in our kitchen, thanks to the recent generosity of another friend, stands a new automatic coffee-making machine – a Gaggia Brera. This machine, it seems, can do almost anything connected with coffee, and probably other drinks. It also comes with a substantial multilingual manual. The English version is an improvement on the almost incomprehensible guide to the Gaggia Classic, but it has its idiosyncrasies. ‘Steady on’ refers to non-flashing lights on the control panel, it isn’t an instruction to the barista (though it might well be good advice). There are lacunae at critical points. You’re left helpless when things don’t go according to plan – that is, almost immediately – and reduced to trawling the Web for video clips by accommodating Australians to help you out. However, once you’ve understood, quite by accident, that the machine won’t tolerate a less than full water reservoir, you can start to experiment, and even generate a cappuccino that, if it wouldn’t for a moment fool the experts in Verdi’s, will at least draw murmurs of approval from your family and friends. Apart from the coffee there’s another benefit from being your own barista, which I think the Gaggia people are aware of, to judge by the amount of space they give in their manual to the importance of cleaning operations. 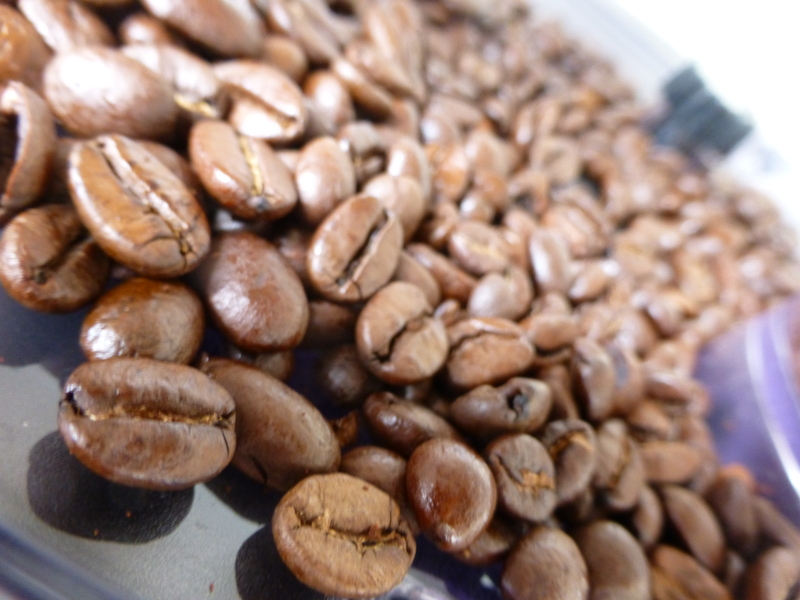 I suspect that it’s the elaborate and time-consuming rituals of tending to the well-being of the machine – the sacrifices, you might say, made to the goddess of coffee – that give as much enjoyment to the private coffeemaker as the taste of the product or the convenience or cost of producing it at home.